This place is falling down, from the ground up. And, to be honest, it’s also falling down from the roof down. 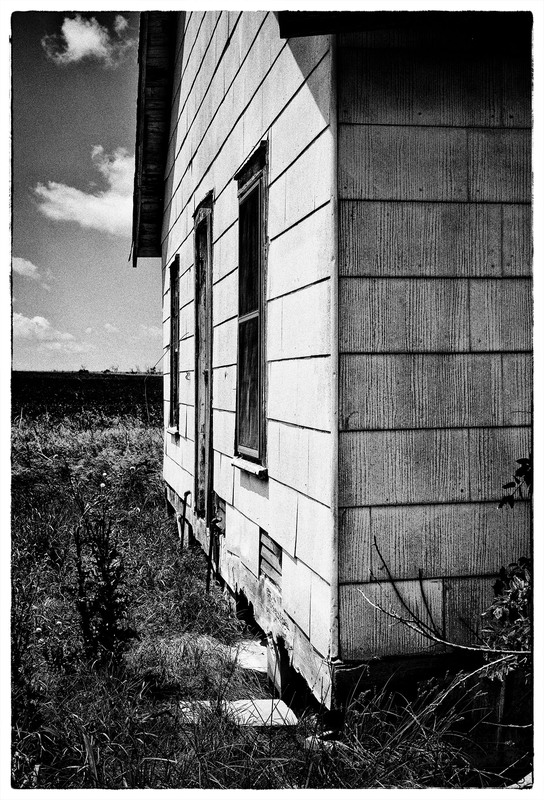 Posted on August 13, 2016, in Photography and tagged 365 photo project, abandoned buildings, architecture, black and white photography, Leica, melinda green harvey, monochrome, one day one image, photo a day, photography, postaday, texas, young county, young county texas. Bookmark the permalink. 6 Comments. Falling, every way that it is possible to fall! It’s a goner. Guess some critters live it though. Spell check strikes again! Guess some critters LOVE it though. See, I thought you’d left out the word “in” and that you’d meant to say, “Guess some critters live in it though.” Just shows what I know!